Click here to log-in or create an account. Wireless Traveler keeps you reliably connected worldwide at low cost. as you can forward all your calls to a local number. Keep your corporate traveler and information safe and secure while traveling abroad. 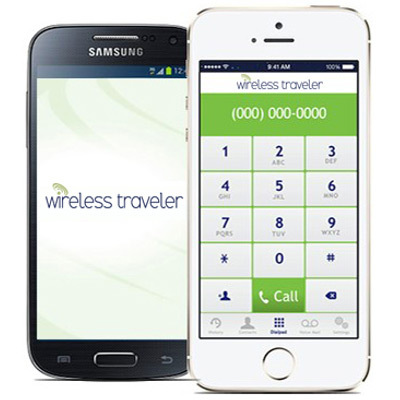 Wireless Traveler can create a corporate program to help you reduce costs. Contact us now at sales@wirelesstraveler.com or speak to a real person on 1-866-700-3883. WEB, Email, GPS, social, photos, remote office servers…. always connected.